Look no further. Keeping your smile healthy is our goal and our dental professionals are committed to giving you the time and attention you deserve. If you are trying to find a dentist in Elk Grove Village, Itasca, Wood Dale or a surrounding suburb, you have come to the right place. We are passionate about taking care of your smile, and we strive to help you love your smile as much as we do. With years of experience and training, we combine high-quality dentistry with friendly, personalized care. Our dental practice is located in Elk Grove Village, Illinois and also services the surrounding Illinois suburbs, such as Wood Dale, Roselle, Bloomingdale, Itasca, Mount Prospect, and Schaumburg. We hope when you visit our office, you feel comfortable voicing your questions and concerns. We will work together with you to provide a unified front against tooth decay. If you are missing teeth, you have options. When you’re missing one or several teeth, our experienced dentist may recommend a dental bridge. This appliance is a porcelain replacement that bridges the gap between your existing teeth. This component is designed not to be removed and is used to replace one or several teeth that may have been lost for a variety of reasons. Getting dental implants can be an excellent way to restore your smile and replace any missing teeth. Each implant is anchored into the jaw like your natural teeth, ensuring a strong, stable tooth. During the course of implant restorations, we may also use bridges, dental crowns or dentures over the top of the dental implants to finish your healthy, beautiful smile. Dentures can be a great option for replacing missing teeth because they are affordable, removable and minimally invasive. Dentures are custom-made to fit your mouth and consist of false teeth that have been attached to a gum-colored base. Our dentist offers a variety of denture types, some of which are even a comfortable, flexible material. It’s important to make sure you feel confident with your smile, not just for your self-esteem, but for your overall oral health as well. Our cosmetic dentist is ready to provide you with the treatments you need to transform your smile, regardless of the issues you are experiencing. 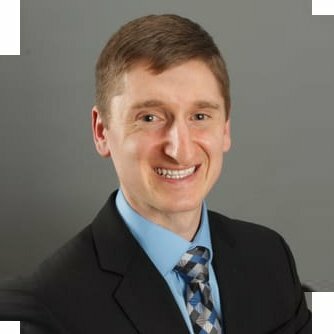 Dr. Homann graduated from the University of Illinois at Chicago College of Dentistry and is a member of the American Dental Association. 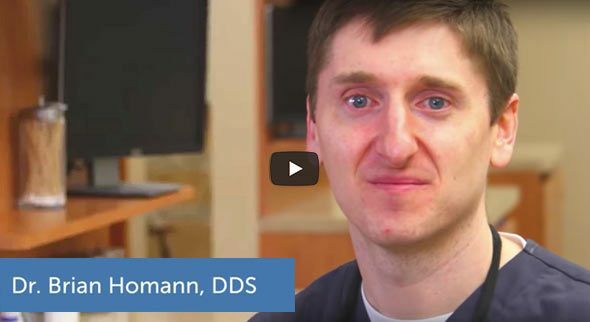 At the start of every recall visit, Dr. Homan completes a detailed exam that provides valuable information on the patient’s dental needs, identifying any issues that may be in the early stages. After the team has evaluated your teeth, gums, and smile, we will work with you to create a treatment plan if necessary.